The ‘microbiome’ of an ecosystem describes the genetic and functional diversity of its microbial population. The activity of microbiomes shapes ecosystem dynamics and provide effective reactions to environmental forcing functions, both acute and chronic. Through biodiversity, microbiomes enable resilient and metabolic responses to perturbation and help generate robust ecosystems. The study of microbiomes drives identification of new organisms, key mechanisms that generate ecosystem services, and novel metabolic capabilities. 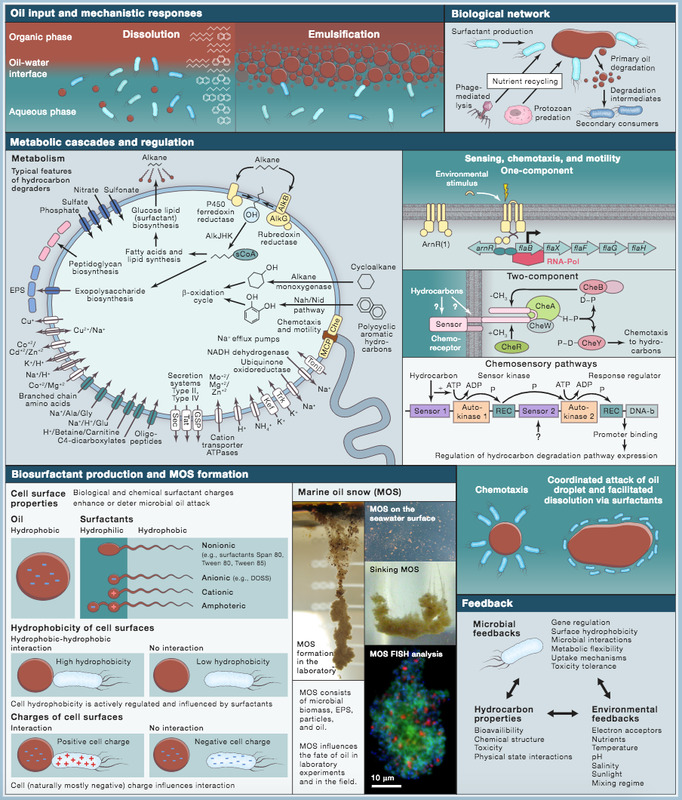 Ocean microbiomes thus hold tremendous potential for discovery of unusual microorganisms, unrecognized metabolic pathways, new biochemicals, and more. We probe ocean microbiome science through the use of cutting edge ocean-going technology, bioinformatics platforms, and a strong partnership with industry leaders in sequencing science. A holistic suite of measurements applied to a range of samples collected from different locations across ocean environments offers an opportunity to assess genomic potential (metagenomics), functionality (metatranscriptomics), and metabolic currency (metabolomics). Metagenomics data provides a taxonomic fingerprint of the community; metatranscriptomics data generates a thorough community activity profile; and metabolomics data maps the distribution of organic molecules produced and traded by the microbial community. When assessed and modeled in concert, these distinct types of data provide a comprehensive view of the dynamics that form the base of the ocean food web and which modulate carbon and energy flow. We are studying ocean microbiomes in the Gulf of Mexico, Northwestern Atlantic Ocean, the Arctic, and in the Gulf of California.